Good news for you AMP-based website developer. 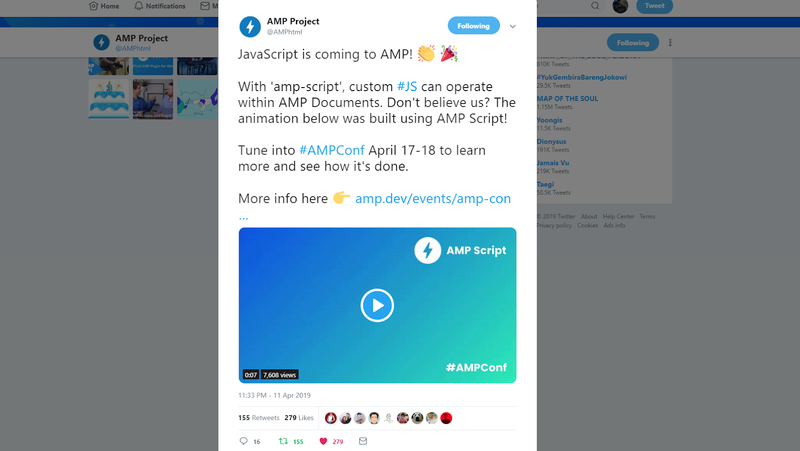 AMP Project as an AMP HTML developer recently announced the latest AMP component which was announced directly via Twitter @amphtml. AMP Project announces that the <amp-script> component will soon be usable and currently can be used in experimental mode. Currently, amp-script is still in the experimental stage. (Read: AMP Experimental). So it can't be used in production. But on the official page of amp.dev, it is explained simply by using amp-script, an example like the one below. Read full on the amp.dev.